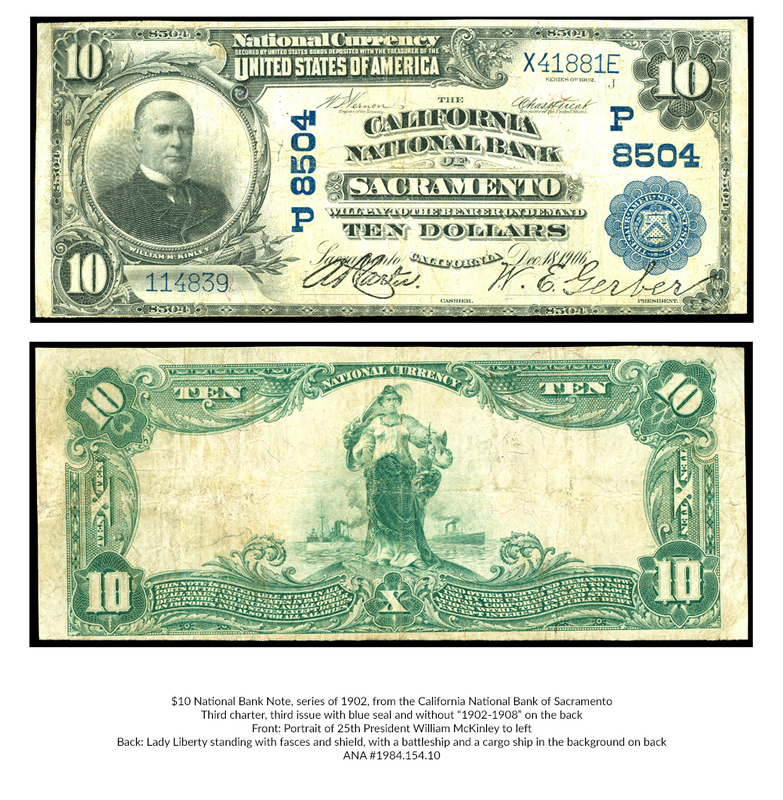 California National Bank notes are some of the most collected of any state in the country. 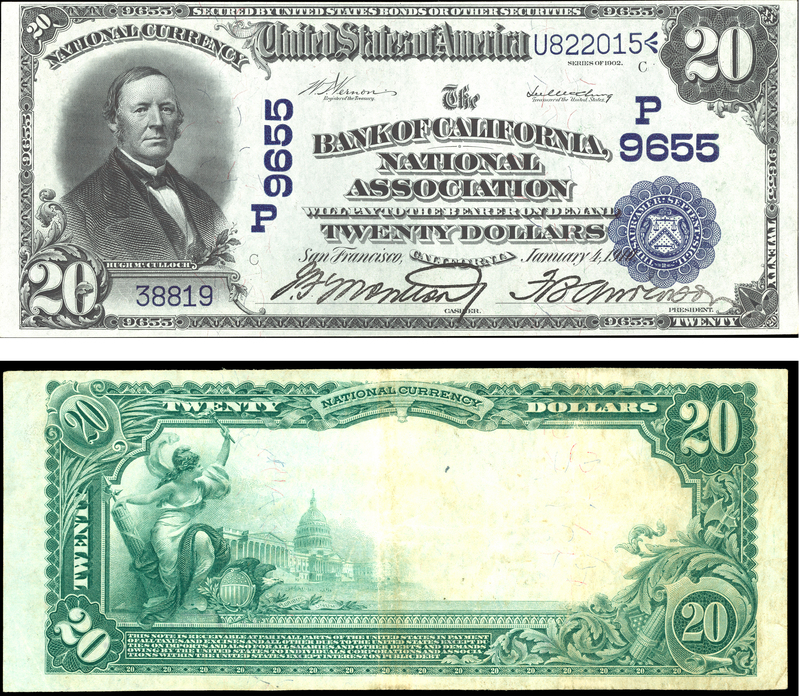 California issued National Bank notes from 415 banks in 227 different towns and cities. 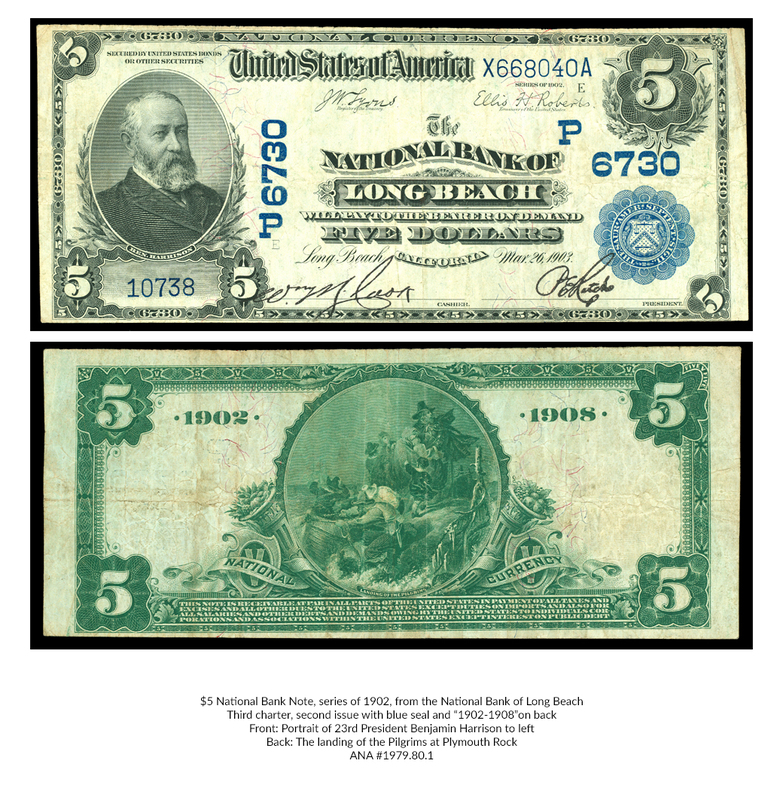 The notes pictured below are a part of the ANA’s Bebee Collection of U.S. Paper Money. President Abraham Lincoln signed the National Bank Act in February 1863 to help solve the nation's money problems caused by the Civil War. The act was intended to raise money for the war effort but was also a long-overdue attempt to overhaul the chaotic banking system. 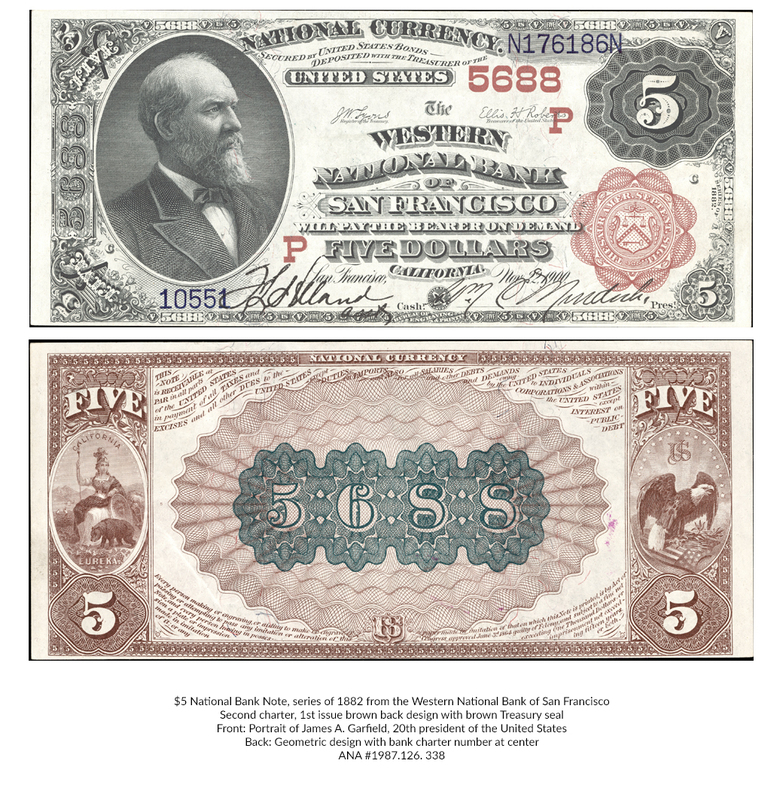 Private banks were encouraged to apply for federal charters and become “national banks.” They could then issue “National Bank notes” backed by federal bonds purchased by the banks, raising money for the war. The banks could then issue notes for up to 90 percent of the value of the government bonds they held. Since the notes were backed by government bonds the notes would be more stable than the old state-chartered private bank issues. 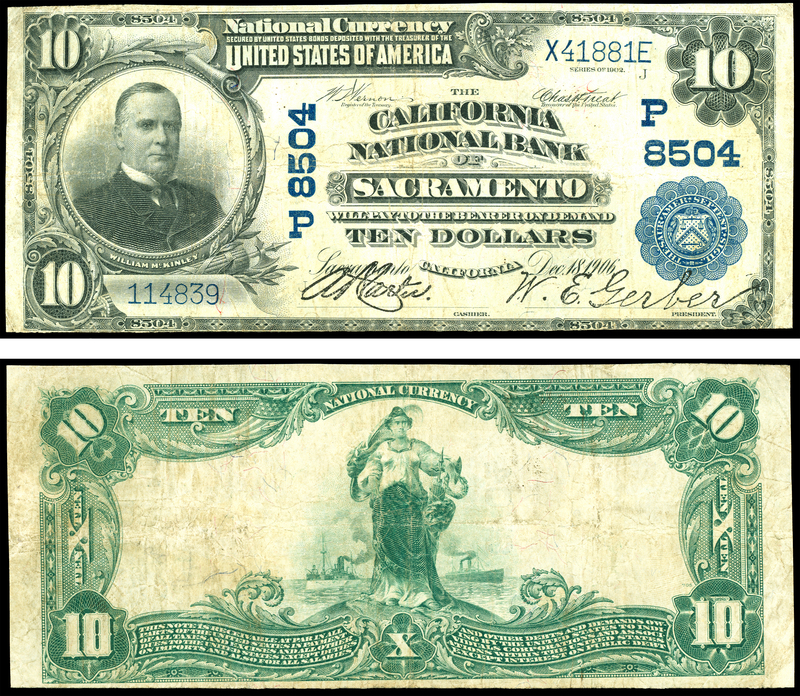 The federal government added teeth to the law by placing a 10 percent tax on state-chartered bank notes on March 3, 1865. Despite the fact that the law would not take effect until 1866, the mere threat of the tax was enough to make the new system successful and, by 1866, the era of the private bank note had ended. 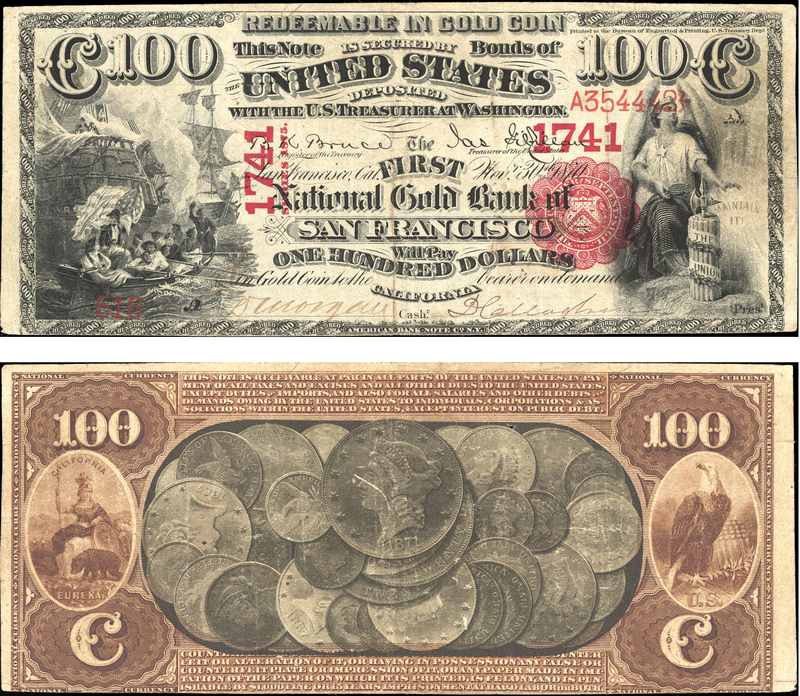 In 1870, Congress realized California's desire to maintain a gold-based economy and amended the Currency Act to allow National Gold Banks to be chartered. 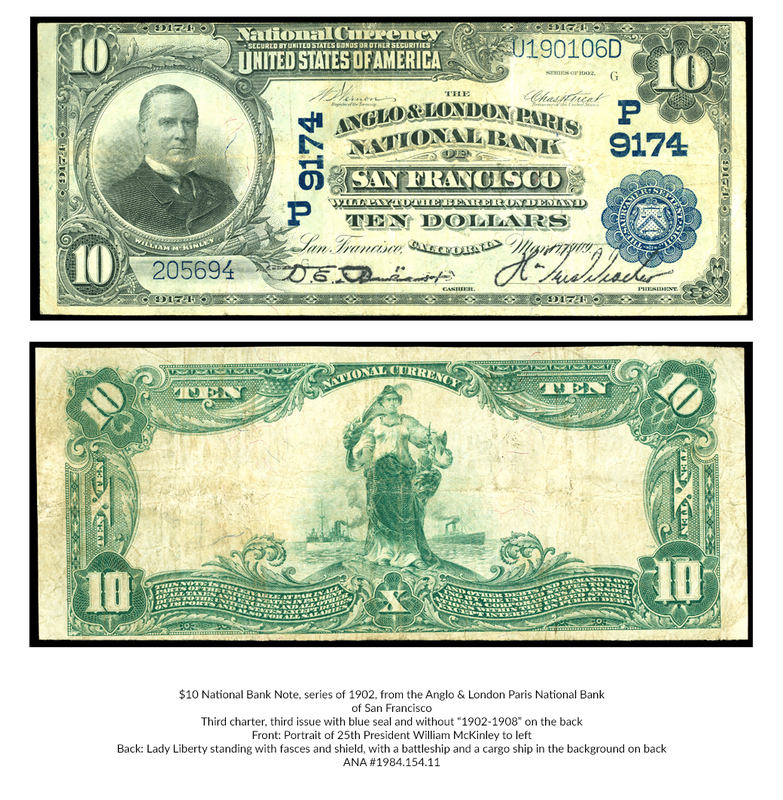 These banks differed from other National Banks because their currency was backed for 100 percent of its value in gold instead of government bonds. 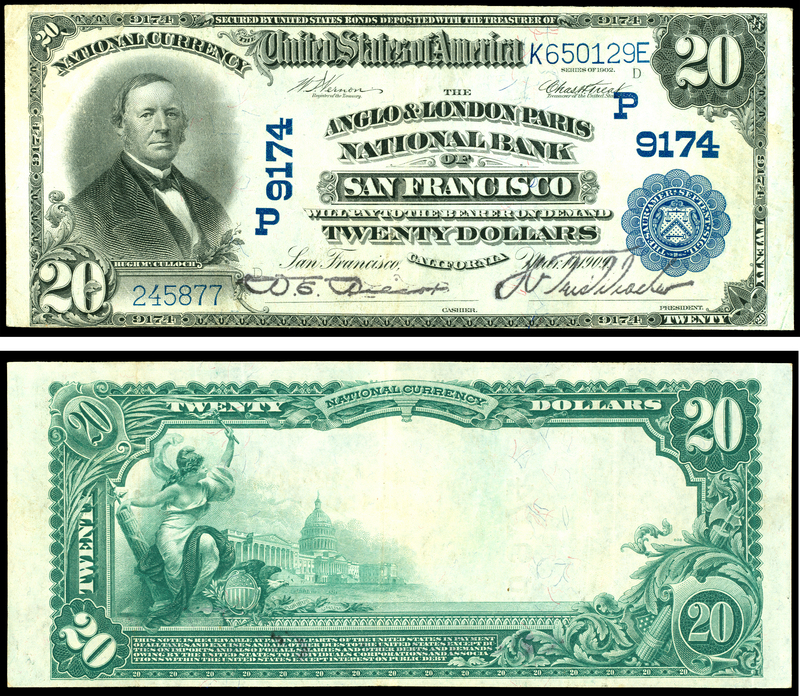 The first bank to receive a National Gold Bank charter was the First National Gold Bank of San Francisco — charter #1741 on November 30, 1870. 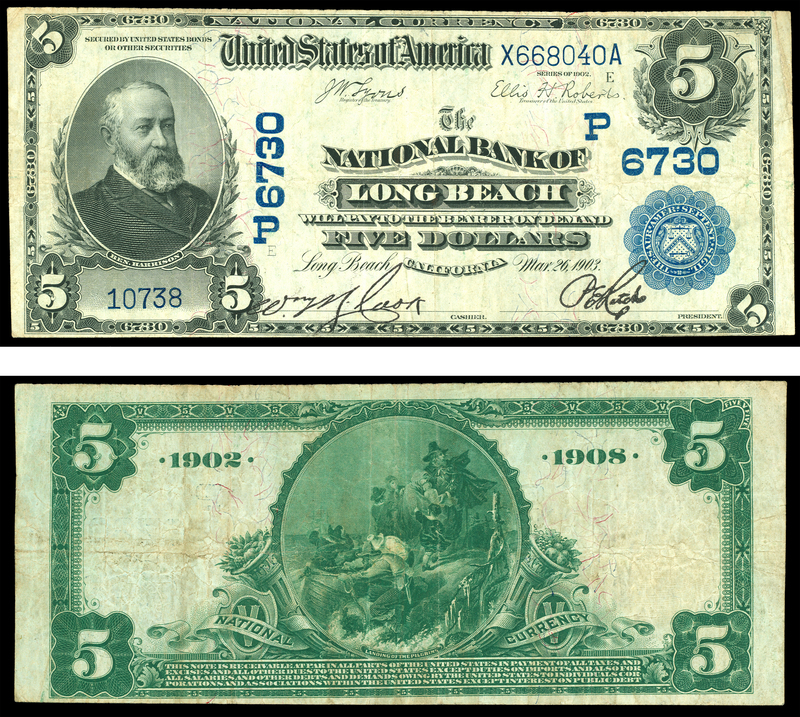 Eventually nine National Gold Banks were issued charters in California along with one in Massachusetts. 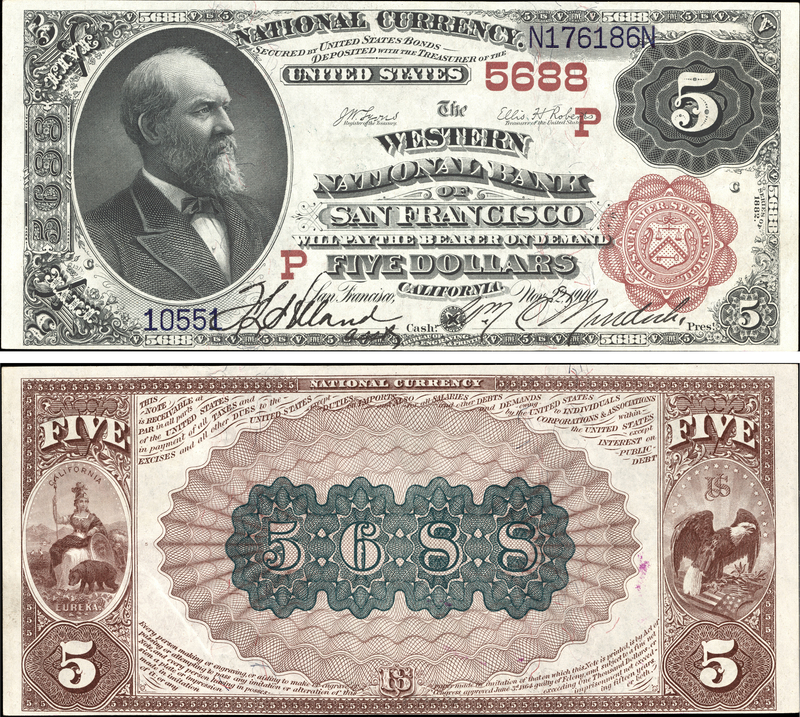 Only the California banks issued notes to the public, and all are rare today. 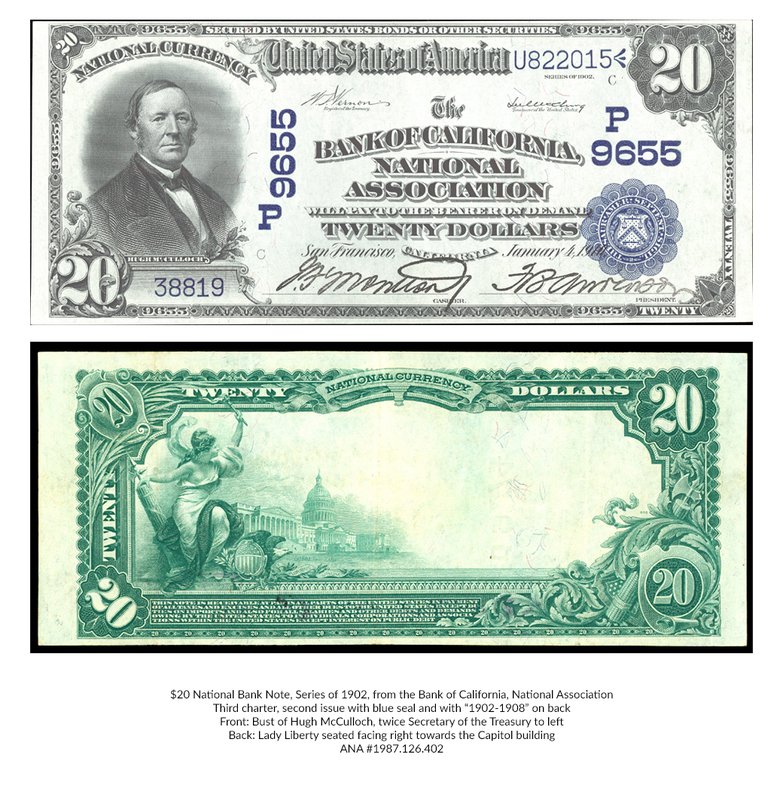 National Bank and Gold Bank notes had a standardized design for each denomination that was used for every national bank with the only difference being the addition of the bank name, city, and state. 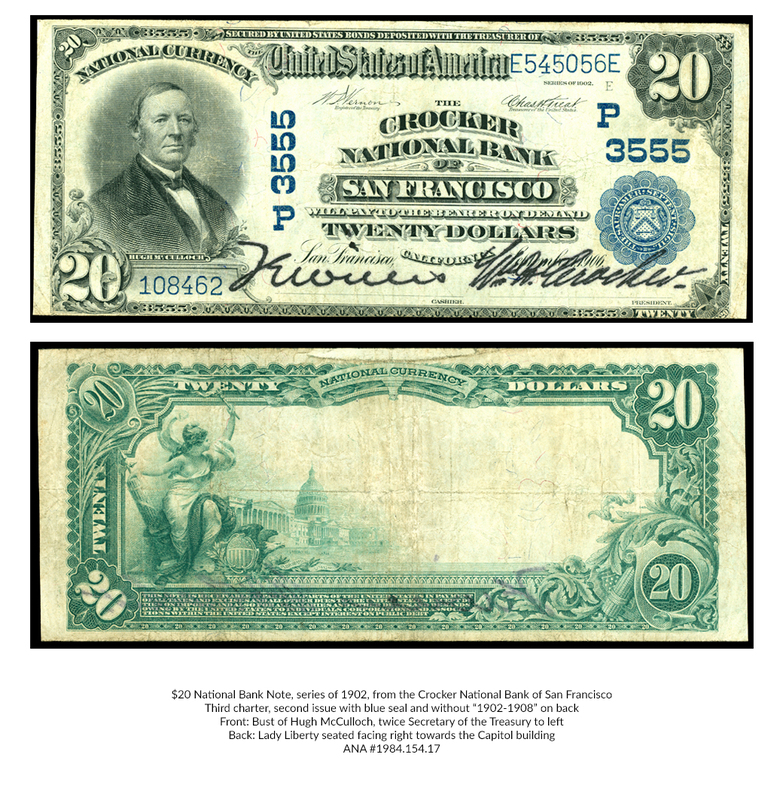 The designs were altered for the three charter periods that the notes were in existence. 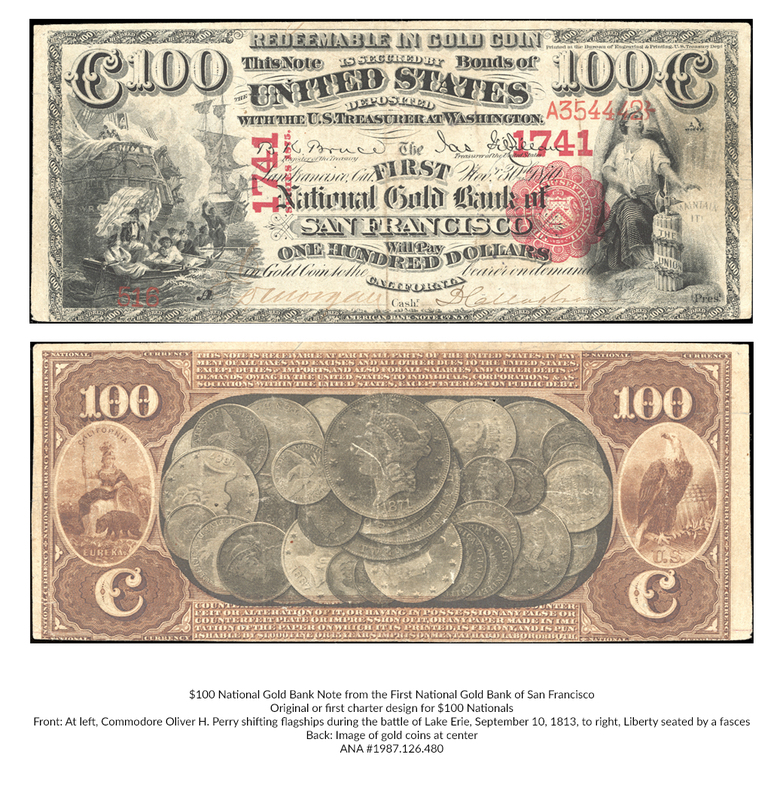 The backs of National Gold Bank notes featured a unique design with gold coins – reinforcing the idea that they were “good as gold.” National Bank notes are among the most interesting and beautiful used by the United States. Rich in imagery from American history they represent a personal connection to our past. 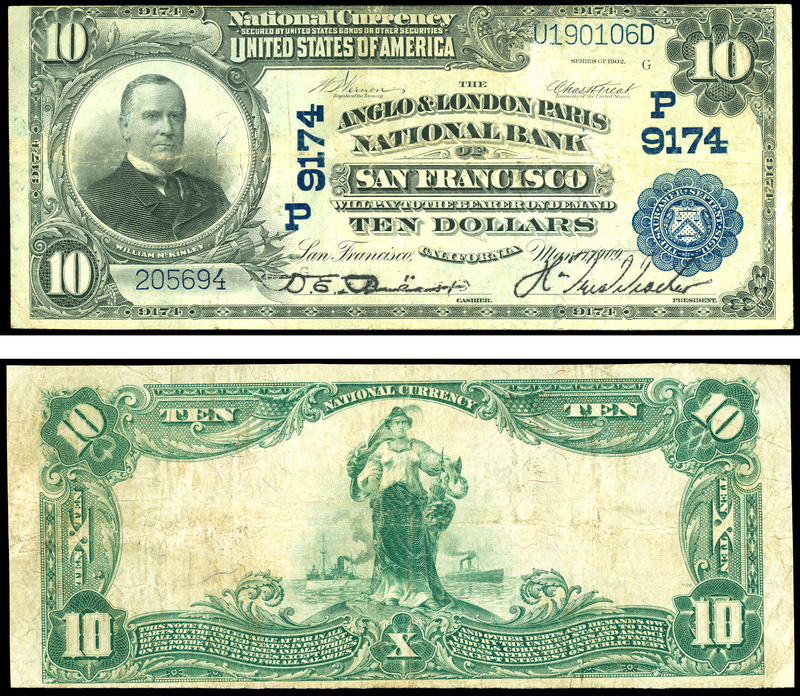 While the National Banking system was in place (from 1863 to 1935), virtually any town with a bank was represented by a national bank note. 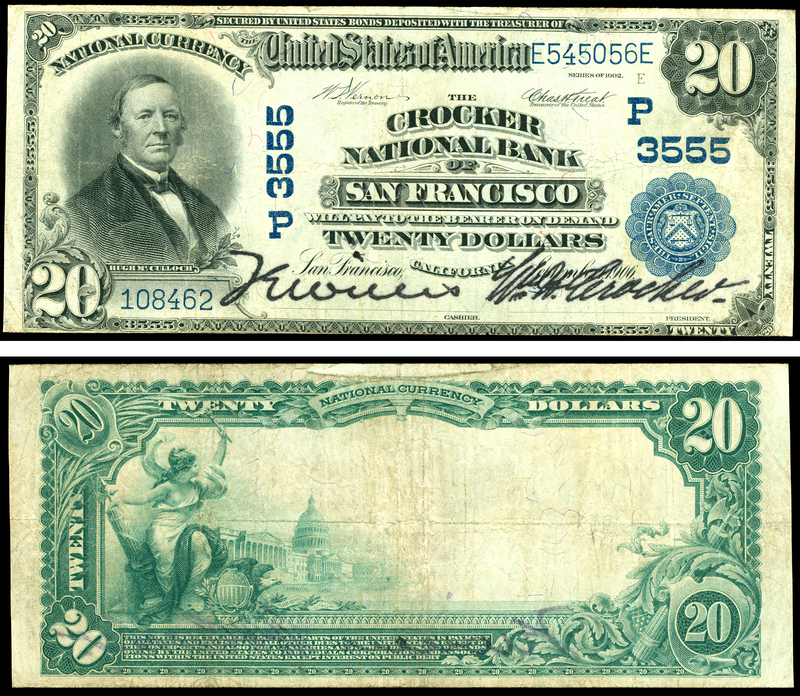 In 1935, the era of the National Bank note ended. 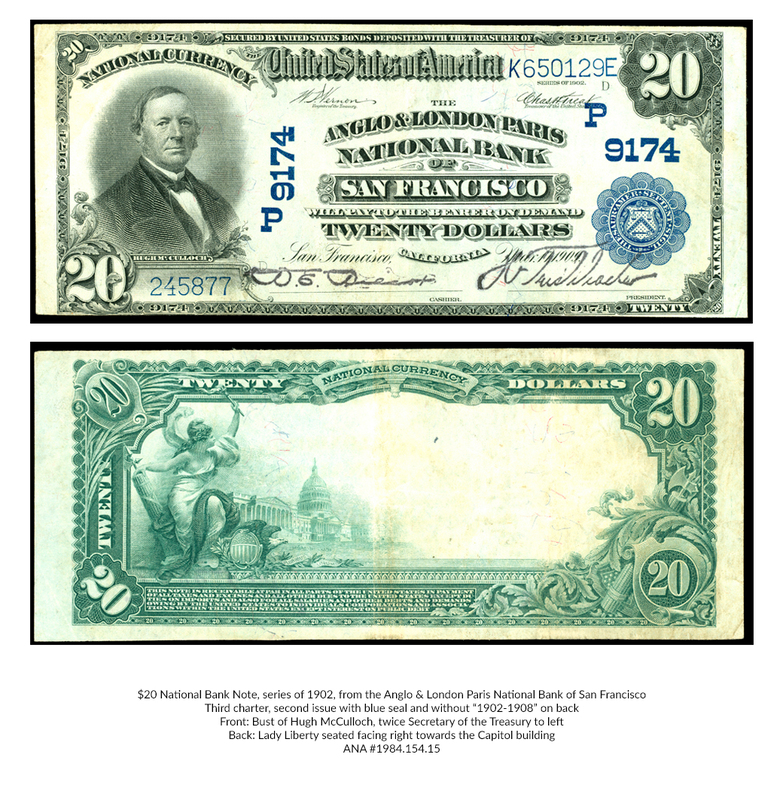 The passage of the Gold Reserve Act of 1934, which suspended the issue of U.S. gold coins, provided the funds necessary to retire the bonds against which National Banks Notes were issued. View high resolution images with the links below. No tags are attached to this post. I learned quite a bit. Beautiful photos. It's easy to understand why they are so collected. I need the $100 one!! Thanks. A wealth of information and facts. A fantastic display of history. Beautiful notes. But there useless without the information and history you provided. That's what makes this a great blog. Thank you for your time and effort. Today I learned! Great blog posting. Very informative, and I love all those photos. The last one, with the image of all the gold coin on the reverse, is beautiful AND unusual.